Our local branch is located in this historic market town, which is also known as the food capital of Yorkshire. Within easy reach of areas that are full of natural beauty, such as delightful market towns and villages including Helmsley, Pickering and Kirkbymoorside, we're ideally placed to find you your perfect home in the Ryedale and North Yorkshire region. To get started, simply get in touch with our team or book a property valuation appointment. There is currently a wide variety of property for sale in Malton. That includes townhouses, farm houses, bungalows, semi-detached and new build detached properties abound. In terms of budgets, first time buyers can snap up properties around the £100,000 mark with higher-end properties nearing the a million pounds. Whether you're a first time buyer, a young professional, family or retiree there are plenty of options to suit. We aim to offer the best possible service to our clients in the Malton and Ryedale area. Making our customers happy is the most important thing and that is evident in our customer satisfaction rating of 96%. The factors which have helped us gain such a good reputation in the area are our attention to detail when it comes to marketing properties for sale. This includes professional quality photography, offering 100% accompanied viewings and a fully trained sales team who are determined to get our customers the best price in the shortest time possible. We understand that moving home can be a stressful and often a confusing time. However, here at Hunters Malton we provide excellent communication throughout each stage of your property sale or purchase, to help guide you through each stage of the transaction. Whether you are a first time buyer, a growing family, looking to downsize or invest, our dedicated sales team will help find you your perfect home in Malton. With an in depth knowledge of the Malton and Ryedale area and a proactive approach to getting people moving, we believe we are the first estate agent you should contact if you are looking to sell or buy your home. If you are looking for a friendly and enthusiastic estate agent to sell your property within the Malton and Ryedale area, then do not hesitate to get in touch with Hunters. Looking to sell or let property in the area? Get the process started with a free, no-obligation valuation. Click here to get an online estimate of how much your property is worth. It only takes a few seconds. Or, you can book a viewing appointment with one of our expert agents. 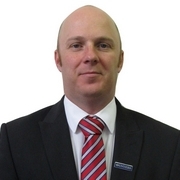 Quality local estate agent with excellent knowledge. Hayley provided excellent customer service throughout and worked hard to find a suitable tenant for the property. Thank you! VAT Reg No: 305 2506 43 | Registered No: 07492952 | Registered Office: C/O Positive Accountants, Elmwood House, York Road, Kirk Hammerton, York, YO26 8DH. A Hunters franchise owned and operated under licence by Strictly Country Properties Limited. 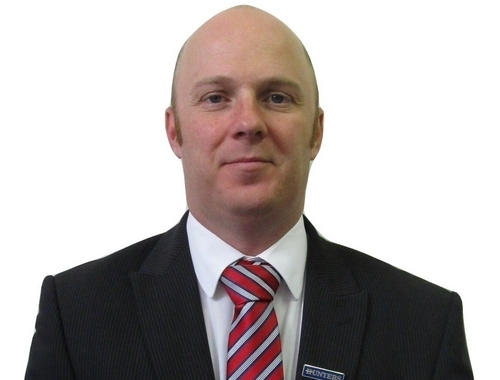 Steve has been with Hunters as an estate agent for 19 years. In this time there have been some huge interchangeable shifts in the housing market, allowing Steve to adjust and succeed in these differing times and give him a wealth of experience of how to deal with any situation. Steve believes that every business is down to the people who work for him, personable, dedicated staff who have a drive to achieve the best results for their clients, whilst having a passion for property and helping our customers achieve the best possible price for their home. Steve is passionate about the attention to detail and presentation of properties, which combined with the perpetual changes in marketing, this ensures he delivers the best results for his clients. 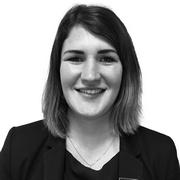 Claire has been at Hunters for 4 ½ years and has risen through the ranks from Sales Negotiator to Branch Manager. Claire prides herself on giving the very best customer service from valuation to completion to ensure the process is as stress free as possible. Charlotte started working for Hunters in march 2017 in admin, through hard work and determination Charlotte soon progressed into a sales role. 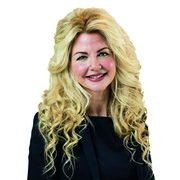 Charlotte is passionate about helping you achieve the best price for your property. Linda Blades has been with the Malton office for a matter of months and works as a weekend/part time negotiator. Linda has worked within the administrative side of business for many years, offering her organisational skills to the office. 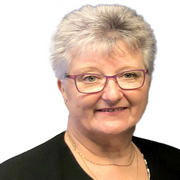 Linda has lived in the Malton area for over 40 years putting her in touch with the people and many changes that have been made to this area in that time. She is settling in to the job well and says it is a joy working with this new team, who drive for excellent results for their customers. Sitting on the edge of the Howardian Hills between York and the seaside town of Scarborough, Malton is a historic market town with a population of around 5,000. Known as the ‘Food Capital of Yorkshire’, it offers regular food markets and festivals, as well as events such as ‘Street Food Sunday’ which usually takes place in the summer. The area is also home to two microbreweries, Brass Castle and Bad Seed, who together host an annual festival called Beertown, usually held in May each year. 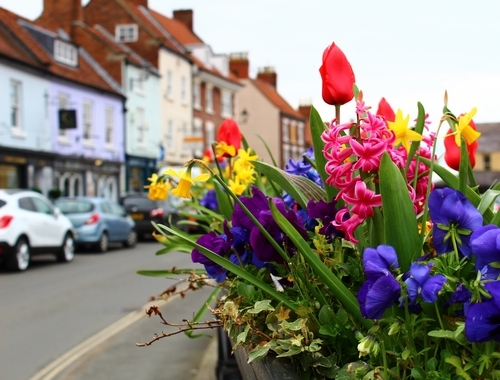 Malton has become increasingly popular with prospective buyers in recent years, with its transport links to Leeds, York and Scarborough making it an ideal location for families who want to live in a vibrant yet quiet location, while still being in easy commuting distance of their workplace. The local train station is a Grade II listed building, and was opened in 1845. For those who enjoy picturesque scenery, areas which are full of natural beauty such as the North Yorkshire Moors, as well as the delightful market towns and villages Helmsley, Pickering and Kirkbymoorside, are just a stone's throw away. If you’d rather spend your time on the seafront, then the coast is less than an hour away, with Whitby, Bridlington and Scarborough all popular coastal destinations. The town itself has plenty of local amenities, including supermarkets, banks, a cinema and numerous takeaways, cafes and pubs. Its Town Hall was commissioned in 1749, and the building was first used as a butter market, with butter being the primary marketable product for many farmers of the day. The No. 46 Cafe Bar situated in the Market Place proves to be a popular eatery for local resident and tourists, with their Burger Night every Friday drawing quite a number of people through their doors. If you’re more one with a sweet tooth, then The Groovy Moo Fresh Artisan Gelato ice cream parlour is worth a visit. With a range of ice cream and sorbet flavours on offer, there’s something for everyone, and it will definitely be popular with children! Local schools are of a high standard, with Primary education being provided by St Mary's RC Primary School, which has an ‘Outstanding’ rating from Ofsted, and Norton Community Primary School and Malton Community Primary School, which are both rated ‘Good’. The two local secondary schools, Malton School and Norton College, are also rated as ‘Good’. The town has a range of property to suit any need. Use the search bar at the top of this page to find your dream home, or visit our office to discuss your needs in person.